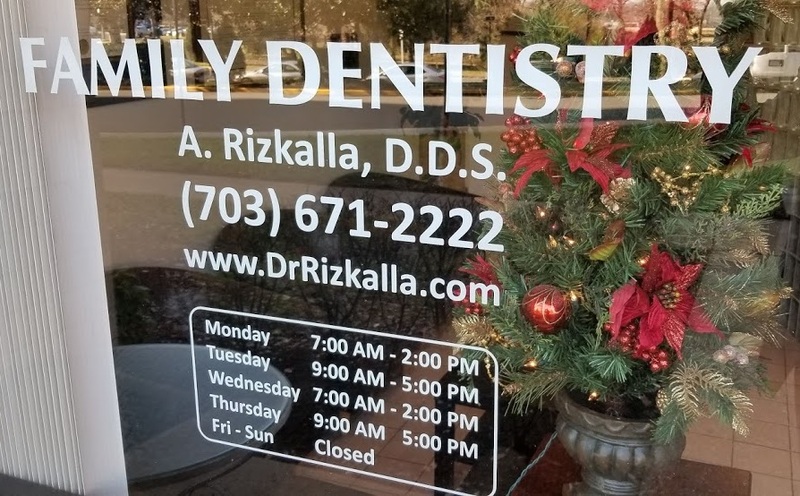 At Rizkalla Family Dentistry you’ll find an amazing dentist and staff ready to provide you with the excellence in dental care that you deserve. Serving Falls Church, Arlington, and the greater NOVA area for over 20 years. Our Mission: Every patient is the center of his/her healthcare team, deserving excellence and dignity and respect. We, therefore, seek to provide personalized quality dental care in a way that best works with each patient’s needs, desires, and schedule. You and your family matter and you deserve the best care available. Rizkalla Family Dentistry provides gentle, relational and professional care for teeth of all ages. Rizkalla Family Dentistry provides the dental excellence that your teeth deserve. Without needless product-promotions or added sales, we pour our full medical attention into you and your dental needs.